Since I've reviewed the first book, I figured it was about time I got around to the other. Not hard really, since my son (not to mention his parents) is currently obsessed with all things Dahl. At nights, Dahl's books are basically all we read, and I know you've heard me gush enough on the subject, but if your child is interesting and interested at all, you owe it to them to introduce Dahl to their imagination. Seriously, at this point in my career as a professional reader to an audience of one, if someone came down and said I could only read one author to my son for the rest of his adolescence... Dahl would give Mr. Sendak a run for his money. Big time. Well, then... though we love the Quentin Blake illustrated version at our house, I figured I'd highlight the original if for no other reason than its enticing jacket copy. and well-behaved animal in the district. A rude creature and drunkard. Our hero, a fantastic fellow. If you're three years old or more you'll love this extraordinary adventure story, Fantastic Mr. Fox. And that's it in a nutshell folks. 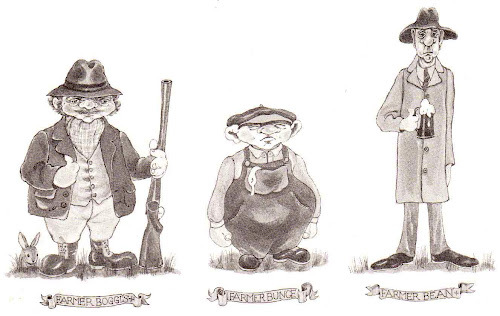 These three bad farmers get a hankering to kill poor Mr. Fox and his kin and devise a plan that has fox and his friends digging for their lives. That is until they dig to a wonderfully magical place that basically solves all their problems forever. Like the jacket says, there is adventure, but more than that... there is family love, furry animals and loads and loads of food. To see where Wes Anderson got his childhood inspiration you really need to check out Donald Chaffin's original illustrations. Much more refined and Andersonesque than Blake's, but having both in our collection just sweetens the pot. Even though I am a Blake loyalist, I will not pick a favorite, and rather, say this. No matter who the illustrator is, the story rings so loud and clear and awesome, all you can do is smile. MY HUSBAND IS A FANTASTIC FOX! wow I really love these! Kind of wish this edition was still in print! Fantastic Mr. Fox was one of my very favorite books as a child...add me to those extremely excited for the movie! 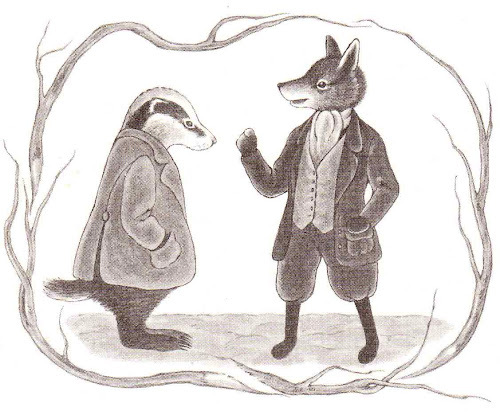 I had forgotten how lovely the illustrations were in older version. 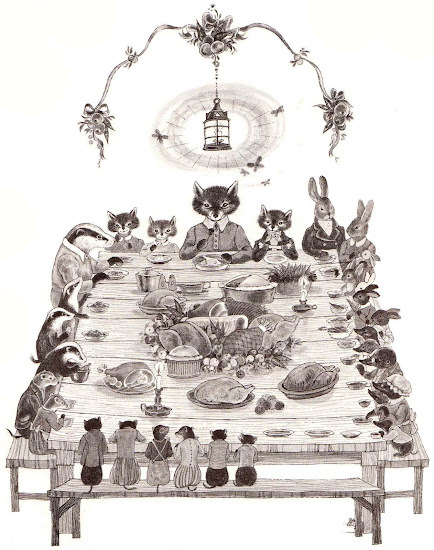 While I love Quentin Blake, this will always be the "real" Fantastic Mr. Fox to me, as will Nancy Burkert's illustrations for James and the Giant Peach. Depends what you grew up with I guess. My copy of Fantasic Mr. Fox isn't illustrated by Quentin Blake OR Donald Chaffin! It is illustrated by Tony Ross (who also did a version of The Magic Finger)! When I was a kid I was more of an Enid Blyton fan than a Roald Dahl fan, but Fantastic Mr Fox was a book I treasured. 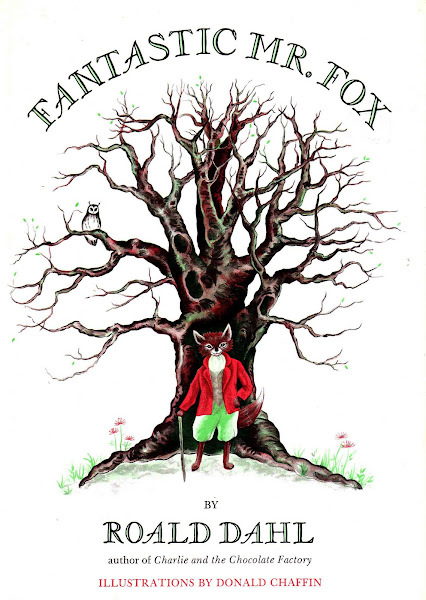 My Fox book is long gone and I don't recall the illustralion very cleary but your version is absolutely gorgeous. I can't wait to see it on the big screen. Thanks for another great post. Dahl is simply the best!!! I loved all his books, and I think Fantastic Mr. Fox is probably my favourite. Danny the Champion of the World would also be right up there. He was such a talent - and I always enjoy re-reading them. I am enjoying your blog so much, and adding a link to you from mine. Cheers! My son listened to the cassette tape every night before he went to bed. We had many of Dahl's stories, but Fantastic Mr. Fox was his favorite when he was 3-4. I guess we just made up our own images as we listened. I would love to have a book and can't wait to see the movie. It's interesting to see these illustrations. They're detailed and subdued. That said I think that it's great to have the Quentin Blake version too. Blake really responds well to the early Dahl books even though they were published before he started drawing pictures for Dahl's stories. 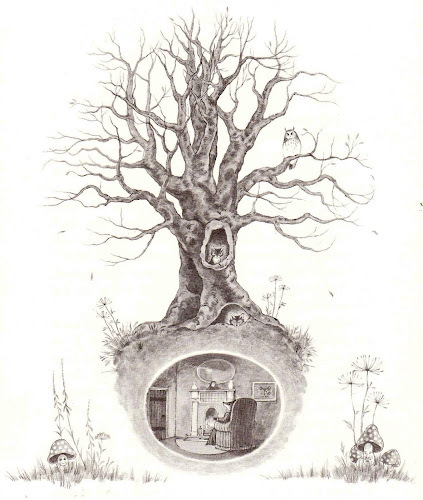 Donald Chaffin's illustrations are amazing. He is so talented. Truly FANTASTIC!